In 1949, Our Lady of Grace Catholic School opened with eight rooms, staffed by the Sisters of Mercy, who welcomed 115 students. The school was part of Fr. 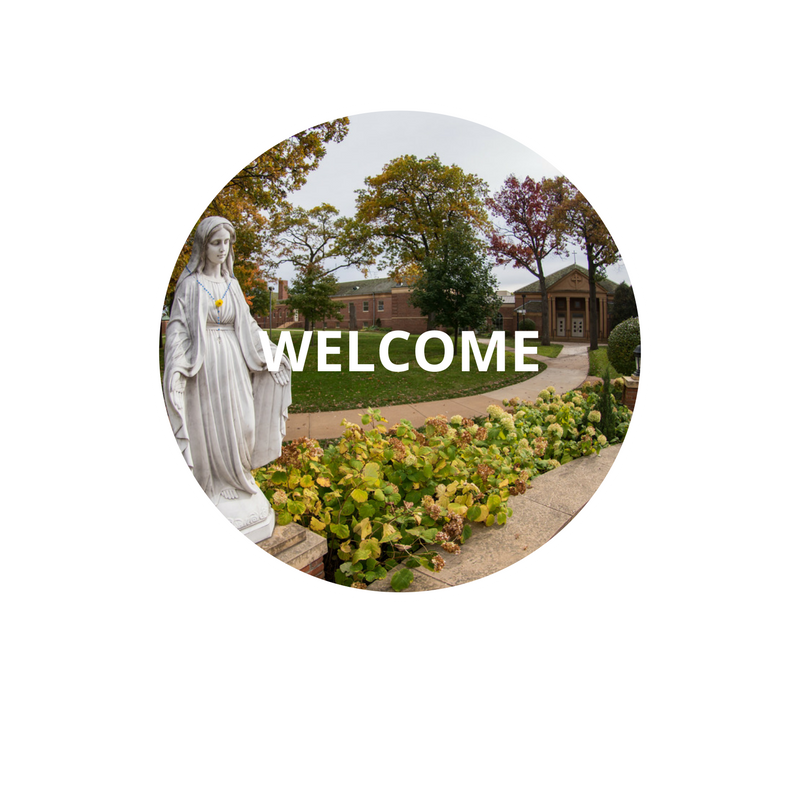 Louis Forrey’s vision to build a strong Catholic community of ministry and a K-8 school, all of which began with the founding of Our Lady of Grace Parish in 1946 with 165 families. A twenty-two acre campus was made available by the Archdiocese of St. Paul and Minneapolis. However, before even one stone was laid on the campus, the first liturgies were celebrated in the old Edina Theater. By 1949, the parish community had laid the church’s cornerstone. Mass was celebrated in a basement church which today is used as the school’s art, music, and extended care rooms. In 1999, we celebrated our 50th anniversary. We were awarded our first National Blue Ribbon by the U.S. Department of Education in 2001. In 2009, we were awarded a second National Blue Ribbon, making OLG one of fewer than 15 Minnesota schools which have received more than one blue ribbon. Our principal was awarded the 2002 Distinguished Principal Award by the National Catholic Education Association. In 2006, we began our One to One Laptop Learning Program for our Middle School students. In 2008-09, we were one of twelve Catholic schools given a Catholic Schools for Tomorrow national award from Today’s Catholic Teacher magazine; OLG’s award was for “total community involvement”. In 2009 and 2010, Apple selected OLG as an Apple Exemplary Program, a national award for illustrating best practice qualities of a 21st century learning environment. We believe that our school continues to offer the exemplary educational experience it has offered since opening its doors in 1949 -- nurturing and expanding the hearts, minds, and souls of students and providing a solid foundation on which they can rely as they become caring and engaged Catholic Christians. In May of 1950, OLG graduated its first class, 12 students. As another class graduates this year, many of these more than 60 students have been studying and worshiping in our school for nine years. In kindergarten, they enjoyed having an 8th grade “prayer buddy” who helped them research a saint and watched them march as that saint in the school’s All Saints’ Day Mass. In 2nd grade, they studied for and celebrated the sacraments of First Reconciliation and First Eucharist. Now, as 8th graders, they have kindergarten prayer buddies assigned to them and the opportunity to act as Peer Ministers for our school. 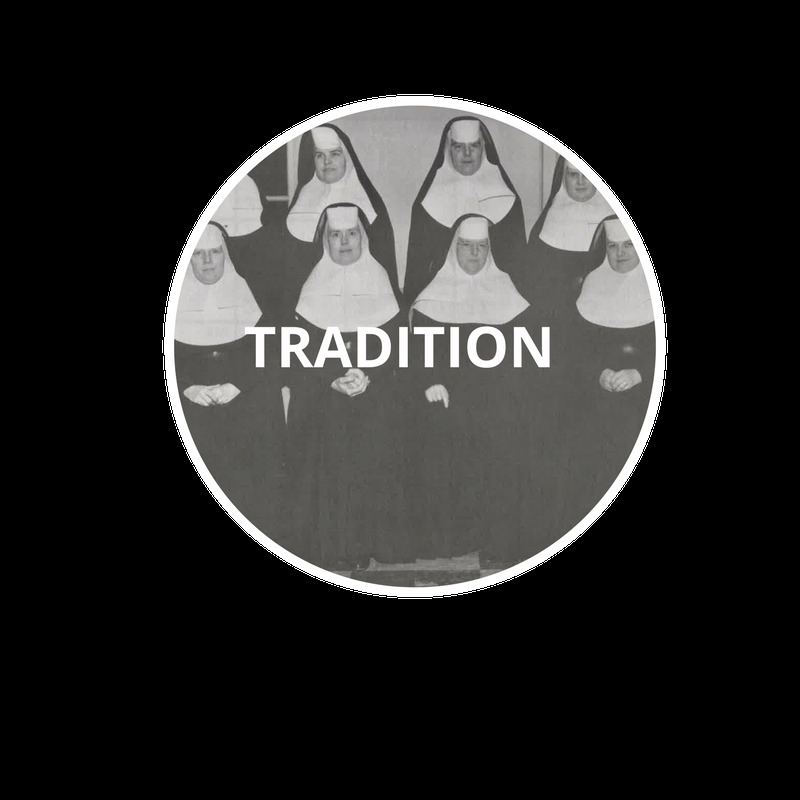 From an eight room school to a school filled with over 650 students who participate in a rich faith formation program and who are offered a challenging academic curriculum, we stand on the shoulders of generations of parishioners, school families, faculty and staff who have made OLG School the extraordinary Catholic educational institution that it is today.